The debate on the controversial draft law on “fake news” is set to continue in France but the law will not be adopted before July. Meanwhile, Brussels refuses to legislate this sensitive subject. EURACTIV.fr reports. 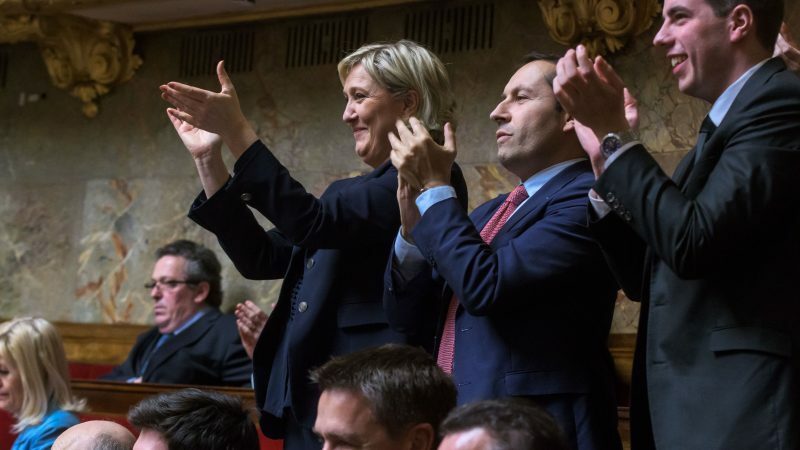 The two texts on manipulation of information during electoral periods were debated at the French National Assembly on 7 June. But, MPs did not complete their examination of the numerous amendments put forward in this controversial text. The debate will probably continue during the extraordinary parliamentary session at the National Assembly in July. The main aim is for this text to be in force and tackle disinformation before the European elections in 2019. “We need to reverse the abstention trend, fueled by the mass dissemination of dangerous news stories designed to undermine elections,” said the rapporteur of the text, Bruno Studer. The proposals of the law provide for the liability of digital platforms (Facebook, Google, Twitter), broadcast channels favoured for spreading “fake news”, strengthening the capacity to issue penalties of France’s broadcasting regulatory council and the possibility of going to court to suspend the transmission of “fake news” during the electoral and pre-electoral periods. “Freedom of expression is a farce if information on the facts is not guaranteed and if the facts themselves are not the subject of the debate,” said the Minister of Culture and Communication, Francoise Nyssen, citing Hannah Arendt. “We are not talking about ‘fake news’, as it is a term invented and popularised by the American President Donald Trump particularly to discredit information published by journalists,” stated Studer. “The manipulation of information is a slow acting poison which destroys our credibility, and damages our democratic life,” added Nyssen. The Minister supported the proposals of the draft law put forward by MPs of the governing majority, stating that they had managed to strike a balance between combating propaganda and freedom of information. “The text isn’t aimed at the production of false information but its dissemination, it is the sinews of war,” stated the minister. She also criticised the role of platforms that “do not play by the rules of democracy”. She believes that their business model plays a role in the dissemination of false information “they sell likes and followers to all, even to those that circulate fake news”. For now, the EU has taken a cautious stance by limiting itself to recommendations on the subject. The Commission has, for example, given online platforms until July to draw up a code of conduct to limit disinformation on social media. 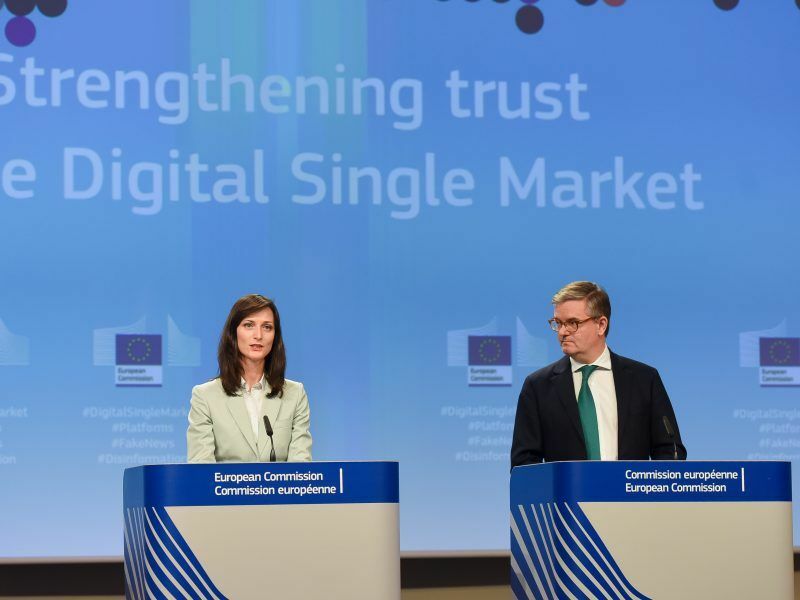 Although the commission’s strategy is highly critical of online platforms, it has not put forward any binding legislative measures. The EU’s proposal is aimed at creating a European framework to tackle disinformation so as to limit differing national legislations. “Our response cannot stop at national borders. Europe is at the frontline of a hybrid war conducted by certain third countries, for which disinformation has become a weapon of mass destabilisation,” said the rapporteur for the committee on European Affairs and LREM MP, Pieyre-Alexandre Anglade. “The response can only come at the European level and cannot stop at our borders,” said the Republican MP, Constance Le Grip, for whom the texts put forward by the government are “at best ineffective and inapplicable”. In addition to the usefulness of a national law and the risks to freedom of information, certain provisions of the text are regarded as not very effective by civil society. The possibility of seeking injunctions is particularly criticised. 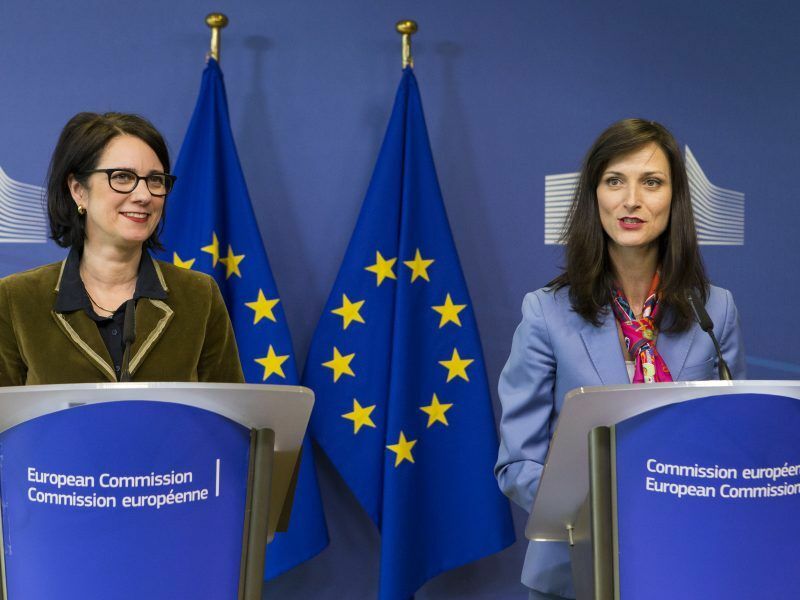 According to the EU Disinfo Lab, an NGO specialised in tackling disinformation, “the assumption that the judiciary will be able to discern true from false within less than 48 hours” is unrealistic. Reporters Sans Frontières also criticised the scope for judicial action, as they believe that “defining false information as ‘any allegation devoid of verifiable evidence which might make it probable’ disregards the logic of journalistic work and does not leave the burden of proof of the erroneous nature of the story up to the court”. For Constance Le Grip, there is “a risk of seeing so-called allegations of ‘fake news’ characterised by the court turning out to be true a few days later”. An expert group advising the European Commission on so-called fake news wants tech giants to be more transparent about their advertising revenue. Their new report pressures social media firms like Facebook and Twitter to deal with the spread of false information on their platforms. The strengthening of France’s broadcasting regulatory council is also cause for concern. One of the main provisions of the text gives the council the authority to withdraw the broadcasting licence from a TV or radio station controlled by or being “under the influence of a foreign power”, if the station “jeopardises [France’s] fundamental interests, in particular by spreading false information”.